What does a National Tax Office Business Opportunity Cost? Become a tax preparer today without a hefty investment. National Tax Office - Maximum refunds, guaranteed results. Let us make the tax business easy for you. Not everyone has the resources or capital to go for an expensive tax business franchise and put in a hefty investment. We wanted to bring flexibility and experience to entrepreneurs and thus started National Tax Office – a feasible, reliable and dependable platform for tax business. We noticed that many franchises were charging a small upfront investment but the revenue sharing was outrageously high – sometimes as much as 50% of the gross earning. At NTO, we give you the chance to earn what you deserve, without slashing out a hefty revenue share. Our business goal is to help and mentor entrepreneurs from square one – because in their growth lies our success as well. We help our affiliates start out and position themselves in the tax industry and assist them in everything from marketing to management. With our experience and expertise, we help our entrepreneurs make a year round living by working only during the tax season. This way, our affiliates come back to us year after year and we get one step closer to our goal of creating the most successful nationwide network of independently owned tax offices operating under one flag. Let NTO help you set up your tax business with a unique edge. Complete the form below to talk to someone about starting your own tax business. 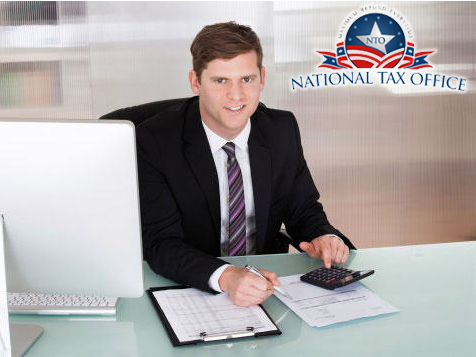 Why Choose National Tax Office? 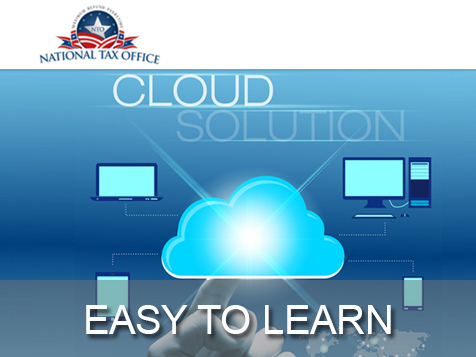 National Tax Office offers you the best professional tax software with cloud availability so you can access returns anytime and anywhere you want. With a mobile responsive deign, you can prepare tax returns and enter details from your smart phone or hand held device with just a tap on the screen. Simple to learn and easy to deploy, our interactive software solution is tailor made to enhance convenience and flexibility. Plus, our IT support staff and tax in house professionals will be available to help you any time – just give us a call and we will gladly help. Step by step registration without any glitches! Let National Tax Office make IRS registration simple and easy for you. Take Advantage Of Our One-On-One Personalized Training Sessions! We know setting up software from scratch on your system can be tricky, especially if you haven’t used it before. But with National Tax Office, you won’t be forced into a cattle call of sorts. Then they will remotely access your computer over the internet. You will then be guided through the software step-by-step with individual attention, allowing you to understand the platform in detail, ask questions and get answers on the spot. Looking for more help? We have detailed training videos, practice returns, and other training tools on our website that you can view at your convenience. Plus, you can always follow-up with your trainer or a member of our staff whenever you need additional help. We love brainstorming of ideas! Our mission is to help you make more money and choosing the right location for your tax business is of critical importance in this regard. With our experience in the industry, we can collect zip code specific data and provide you the best options for your professional premises. Your personal coach will conduct thorough market analysis to help find not just the right spot but also the best equipment and furniture that can enhance your brand image without going off budget. Customers are getting more tech savvy by the day and look for services where minimum delay and hassle is involved. Streamline tax refunds with us - print checks on-site or have the customer’s refund applied to a debit card you issue them – no need to worry about bank approval or unnecessary delay. One thing is certain – there is more to the tax business than just taxes. Location and marketing are also of great importance. There are several tax professionals out there who can prepare taxes if they get hang of the software – it’s simple and straightforward enough. The hard part is getting customers to your retail location for preparing their tax returns. And that’s where we step in. Fortunately for you, we know exactly what to do to get your business rolling! 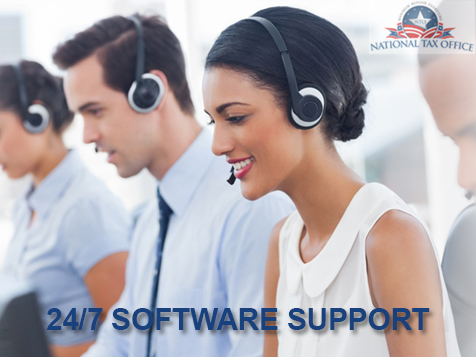 What sets us apart in the industry is the support and guidance we provide. Our in-house team of IT and tax experts is always available to assist you in real-time, giving the leverage you need for exceptional performance and increased earnings! Start your journey as a professional tax preparer today! Do You Want to Start Your Own Tax Business? Let us help you out. Start your journey as a professional tax preparer now!